These columns showcase how versatile brushed aluminium can be. Gold anodisation means we can create brushed awards in an array of colours. These awards are equally apt for first place winners and runners up. 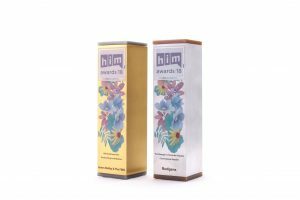 The HIM Awards had silver as well a gold columns. The smooth brushed surface has a particularly fingerprint-reduced look in photos and in person. 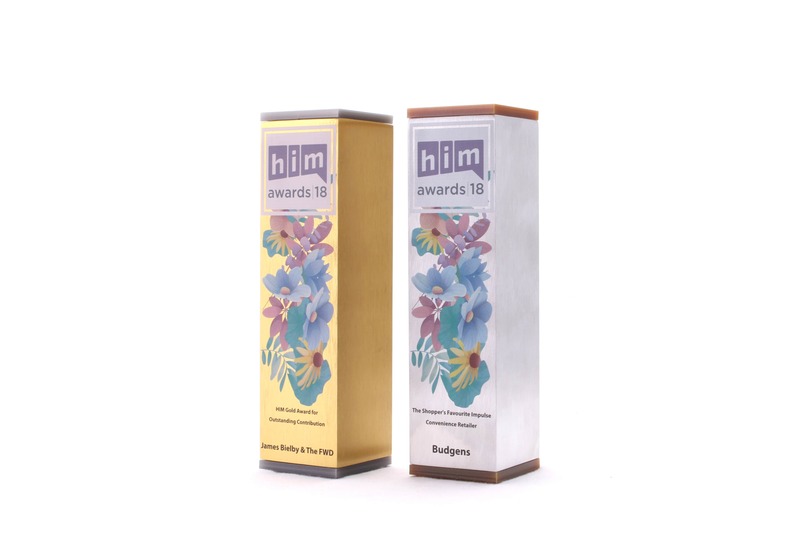 Our UV-printing technology can colour-match almost any colour, which was ideal, due to the floral design of the HIM Awards logo. 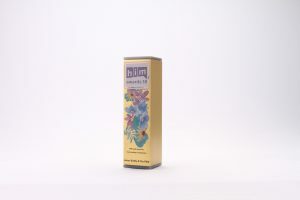 Every petal and shade is printed accurately with a crystal clear finish. Topped and tailed with acrylic, the finishing touches take these aluminium columns from everyday to exceptional. A pop of colour to co-ordinate the awards is one of the many versatile uses we have for acrylic. 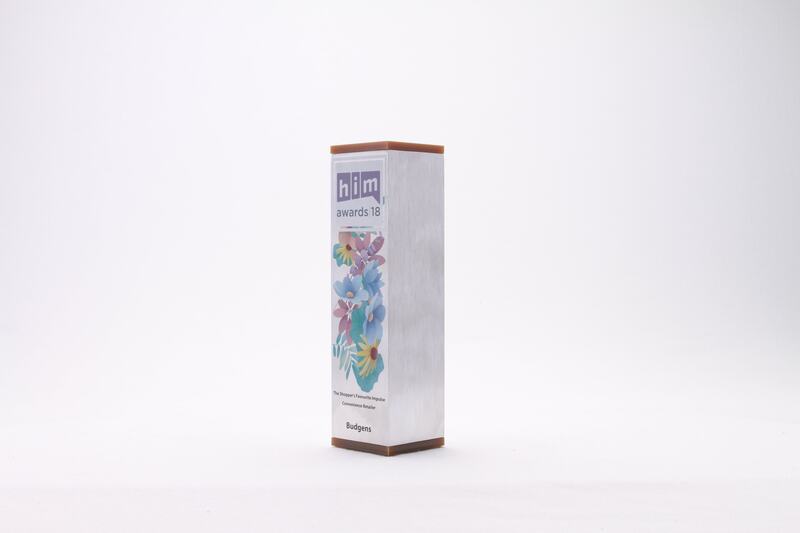 The HIM Awards columns are an undoubtedly stylish bespoke option. Find out more about the award or plaque we can design and manufacture for you. You can call us on 01242 232 383. Alternatively, email sales@gaudio.co.uk. Otherwise, fill in the ‘contact’ form on our website. One of our Project Managers will be in touch to discuss your requirements. 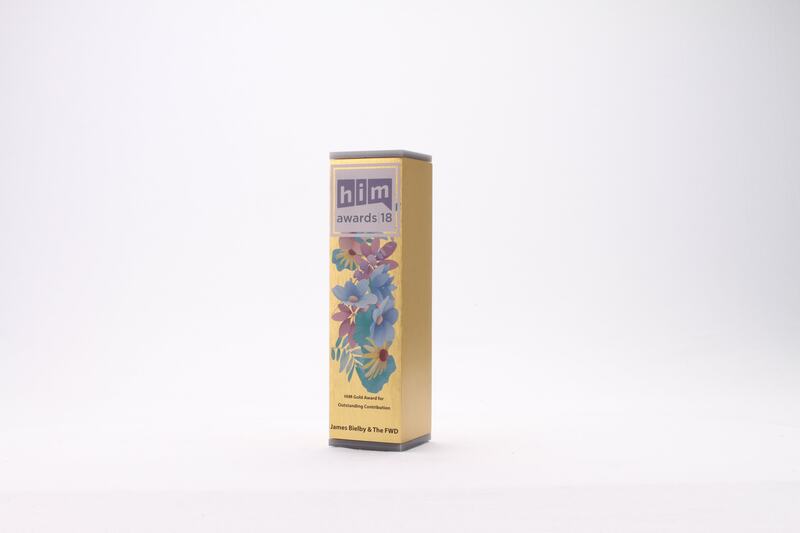 Find out more about the HIM Awards here.